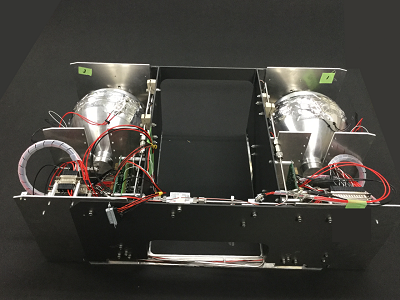 Thrusters from 120K USD for 50kg, 100K USD for 1.5U. Low Cost but Enough Perfromance Thrusters Available. Patchedconics provides new products for 50kg and 1.5U class propulsion systems. 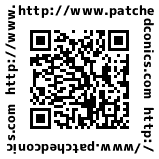 They become available now and Patchedconics will take cost and delivery inquiries now. Size: 485mmx485mm or smaller. Thruster is built on the plate/panel provided from customer. Height depends on the tanks size that is governed by Total Impulse specified. Delta-V for 50kg class satellites: 150m/s quick drop from 750km altitude. Size: 1.5U or smaller. Thruster is built on the plate/panel provided from customer. Delta-V for 5kg class satellites: 40m/s. Delta-V for 5kg class satellites: 130m/s quick drop from 700km altitude. 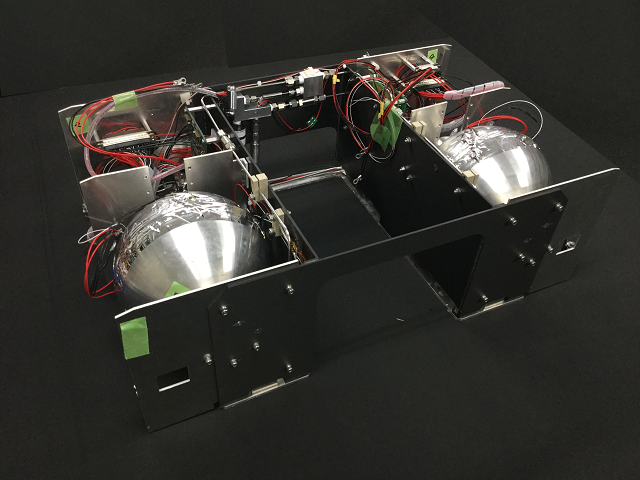 Tanks, Tubes Routing, Thrusters Outlets accommodated and tailored. Nozzles adjusted for Thrust Requirements. Nominal Valves, Pressure Sensors, Temperature Sensors. 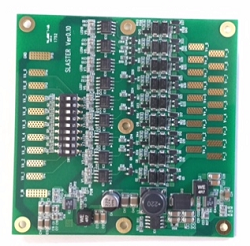 Gas Generator PCB with onboard software. Operation Monitor Software for Ground Tests. Base Plate/Panel on which the system is built. * Click here downloading this leaflet.